Now, some of these items come from Twitter, and things at Twitter can be kind of weird: is someone quoting someone else? paraphrasing? responding? 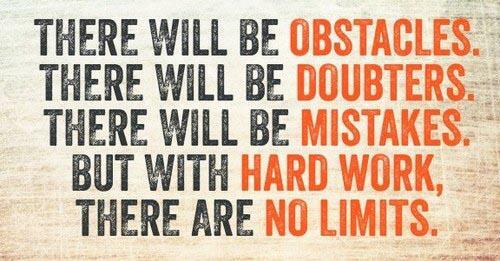 Often, I can't really tell who the words belong to, but they are still great words! So instead of trying to attribute these to people, I'll just link to the source where I found the words... if you want to try to figure out who said what, you can start sleuthing there. More quote round-ups here. Here is some stuff I found online that mattered to me this week; more news round-ups here. And since a lot of this has to do with Connected Courses (naturally! ), I'll tag this for #ccourses too. Co-Learning: An Act of Creation. As colearning has been the topic in Connected Courses this week, there has been all kinds of great stuff making the rounds, like this post here from Tony Brainstorms: "Co-learning is the act of creation, rather than regurgitation, of content." Educating Educators: Q&A With Connected Learning Advocate Kira Baker-Doyle. More on colearning and connected learning with Kira Baker-Doyle from DMLCentral. Blogging and Modern Educational Leaders. Great stuff here from Chris Kennedy, with quotes also from Will Richardson, on the incredibly important role that blogging can play in education. I wish we had a real blogging culture at my school! Sad to say, we do not. On the Academic Commons. Powerful reflections on "the Commons" here from Richard Hall. Just as we are badly in need of a blogging culture at my school, we are also badly in need of an academic commons online. Sharing What Works in Online Higher Education. Keith Hampson shares here a powerful model for what it would mean to have a shared vocabulary of teaching practice. Note-Taking: A Writing Genre Worthy of a Curriculum of its Own. This post by Anna Gratz Cockerille will be really helpful as I keep on exploring my students' reading diaries, learning from what they did this semester and working on how to improve that experience for next semester's students. On Not Silencing Students: A Pedagogical How-to. Wonderful post from Chris Friend: "Student writing should be made public whenever possible." Mozilla Web Literacy Map: Composing for the Web. Some comments from me about Mozilla Web Literacy Map. It's not a tool that is really working for me, but I hope it can prove to be useful for others! How to Provide Student Feedback in the Digital World. 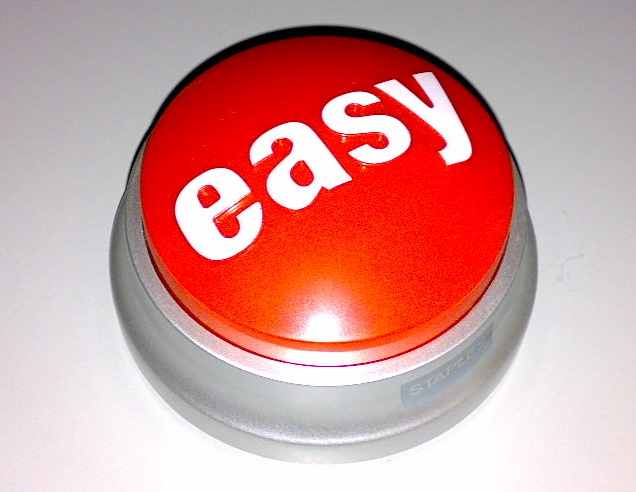 Great stuff from Mark Barnes: "student feedback in the digital world replaces traditional grades, which are subjective and punitive, and the blog, LMS and social network create comfortable environments that put the conversation in the palms of students’ hands." Math Instruction versus Natural Math: Benezet’s Example. Much to learn here in Laura Grace Weldon's post about an educational experiment, almost one hundred years ago, which still has a lot to teach us about student-centered learning and standardized testing and instruction. Why Universities Should Make it a Top Priority to Cultivate Expert Learners. Great stuff here from Bernard Bull; I am really enjoying the way he shares old blog posts via Twitter, along with the new — his blog is so full of information and inspiration! Can You Answer These 25 Questions about the Origin of Modern Educational Trends and Practices?. Lots of links to follow up on all these good questions from Bernard Bull. What Behavior is Reinforced 16,000 Times by High School Graduation?. Another item from Bernard Bull, and I won't spoil the surprise... but if you think back to your school days, I bet you can guess the answer (I did!). 15 Online Resources to Challenge Our Thinking about Grading and Assessment. And yet another powerful and useful post from Bernard Bull. Five Common Reasons for the Importance of Letter Grades. Yep, one more item from Bernard Bull. He provides some possible defenses of letter grades, none of which ring true for me; I loathe grading and the five-word vocabulary of ABCDF. 4+1 Interview: Linda Nilson. I'm really looking forward to Robert Talbert's hangout with Linda Nilson coming up later this week. Her "specifications grading" resonates a lot with what I am doing in my classes, and I am curious to learn more. Assessing Assessment. Important article from Inside Higher Ed by Christopher Nelson about how these new assessment regimes are ignoring the importance of student agency: "The assessment procedure accurately measures the effectiveness of the curriculum precisely to the extent that the student’s personal freedom is discounted. To the extent that student’s freedom is acknowledged, the assessment procedure has to fail.﻿"
Algorithmically generated content. The future of e-learning?. You can file this one under "signs of the coming apocalypse." What a nightmare! The Purpose of Education. Paul Simbeck-Hampson is in the process of migrating his blog which has become a great occasion to visit wonderful old posts like this one! Is Digital Learning More Cost-Effective? Maybe Not. I teach with digital tools because they help me to be a better teacher... not because it is cheaper. My thoughts on this important piece at NPR can be found here at Google+. You Are Asking The Wrong Questions About Education Technology. Very nice article from Jordan Shapiro about the very human questions we need to be asking about educational technologies: "Embedded in every technological solution is a moral/ethical stance, an image of the good life, and a narrative of the idealized self." Wild Day at the UC Regents: The Stakes of the Tuition Wars. And on the subject of the costs of teaching and research, this great post by Chris Newfield raises important questions for all of us, not just for the University of California. Google Books: An Invaluable Resource for Students and Educators. Glad to see Google Books getting well-deserved recognition from the folks at Fractus Learning. Interventions AKA Helping Students. 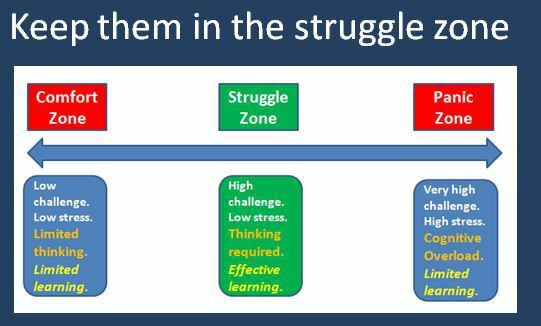 I also really enjoyed this post by Shaun Allison, especially the notion of the "struggle zone" which is high challenge but low stress! And, yes, a video — Successful Colearning — from Connected Courses which was definitely my favorite of all the videos I have watched so far: very inspiring stuff here about colearning! So, I think I have become a fan of the "10 Reasons Why..." genre of blog posts! I like lists in general, and I like it when other people write these kinds of posts, but it hasn't really been my style... before now. Writing the Top Ten Reasons Why I Love Teaching Online post at Medium was a really good experience for me, helping me to think and prioritize, so now I feel inspired to try this "Top Ten" approach for other aspects of teaching and working and learning. Today I will tackle an easy one: The Top Ten Reasons Why I Blog. 1. I blog because I am inspired by other people's blogs. I probably wouldn't have started blogging without the inspiration I found from others. There are some blogs I have been reading with great interest for years and years now, like Alan Levine's CogDogBlog, Lisa Lane's Teaching and History blog, or the great group blog that is eLiterate. I'm also discovering wonderful new blogs all the time, and meeting new bloggers has been one of the best things about Connected Courses for me, which is why I am tagging this post with #ccourses. Take a look at the Connected Courses blog and Twitter stream, and you'll see what I mean! 2. I blog because it helps me think. This blog post is a good example! By blogging, I take some time to slow down, collect my thoughts, organize them, and attempt to reach some conclusions, at least for the time being. 3. I blog to remember things. My many (MANY) blogs are the best archive I have of my past work. Sometimes I need to look something up from just a week or two ago (my new series of news round-up posts has been great for that), and other times I am looking for things I worked on months or even years ago. Relying on my own memory is just not going to work, but blogs are something I can rely on! 4. I blog because I want to share the things I love. I am a person with a lot of curiosity and a lot of passion for the things I study. As I result I am finding things all the time that I want to share with others: books, images, online resources. Blogging is a great way to share things with others — and good things want/need to be shared! 5. I blog in order to help others learn new things. I blog for my students (as in the daily announcements, for example), and I also blog to help total strangers as they learn new things, like at my Bestiaria Latina blog. I miss teaching Latin in the classroom, yes, but the many years of blogging at the Bestiaria, with its hundreds of regular readers, has helped me make an even bigger impact than I could have made in the confines of a classroom. Books (and blogs!) are silent teachers. 6. I blog because blogging is easy. Even after all these years of blogging, I am still AMAZED at the way blogging software combines ease of use along with real power. I can use blogs for totally casual, ad hoc purposes (like this blog), but I can also use blogs for some serious content development, like at my UnTextbook blog site for example, or at the blogs I have created in support of my book projects, like Mille Fabulae et Una. 7. I blog because I can re-use old posts. Being able to re-use content is something that is very important to me, and blog posts naturally lend themselves to re-use. You can link to them (linking is one of the most powerful forms of re-use! ), and you can also recycle them. For example, my Proverb Laboratory blog is powered by recycling. I add new content when I can (usually during the summer), but I keep the blog going strong by recycling one of my old posts each day: Waste not, want not. 8. I blog because it helps me become a better writer. True confession: I never even thought of myself as a writer before I started blogging. I didn't even like to write! But blogging has changed all that for me; because I am writing all the time now, I've grown to feel more confident as a writer and also to enjoy the writing process. 9. I blog because I work at a PUBLIC university. The motto of my university is: Civi et Rei Publicae, "For the citizen and for the republic" (i.e. for "the public thing," which is where we get the word "republic" in English). As someone who works at a public university, I feel it is my obligation to contribute to public knowledge, doing my work in the open. Blogging is the best way for me to do that. I feel exactly like the seed sower whom you can see here in the university's seal: to blog is to sow the seeds, hoping for a later harvest. But first, some background about LibriVox. Let's start with their wonderful motto: Acoustical liberation of books in the public domain. As you can see, they are part of the open education ecosystem where one good thing naturally leads to another. There are, thank goodness, literally millions of books in the public domain which have been digitized in various ways by various organizations and made freely available online. Then, find generous and enthusiastic volunteers who are eager to read those books aloud and share their recordings with others — that is how LibriVox works. People from all over the world, recording public domain materials in various languages and then sharing those recordings online. If you have never visited the LibriVox website, I think you will be amazed at what you find there: LibriVox.org. Best of all, those LibriVox recordings are also in the public domain, which means that people can take these audio recordings and in turn create other great things: one good thing leads to another... and that then leads to yet more good things in the open education ecosystem. You will find lots of LibriVox audio at YouTube, for example, where people have synched up the audio with a video presentation of the text. 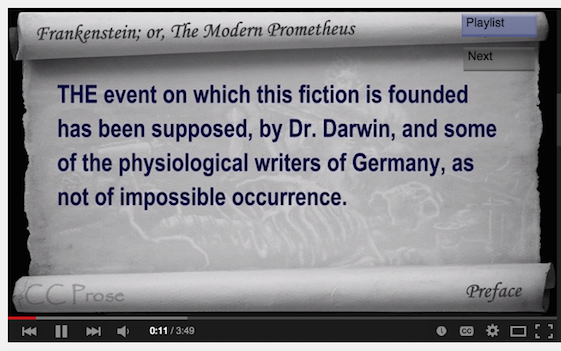 Take a look at the CCProse channel, for example, and their presentation of Mary Shelley's Frankenstein. Pretty nifty, yes? 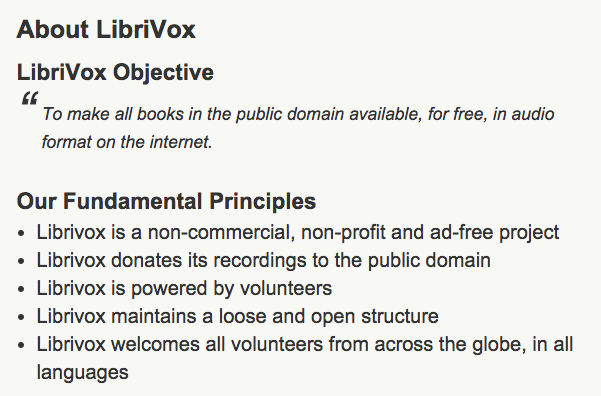 If you are curious about how LibriVox works, check out their informative About LibriVox page, which provides a great overview (see screenshot below) with abundant links to additional information. What is really exciting is that they are creating enormous quantities of material; if you subscribe to the RSS feed for new releases, you will see new projects being completed all the time. Meanwhile, since I was just writing about the millions of dollars being poured into the apparently dead-end Janux project at my school, consider LibriVox's expenses: the great folks at Internet Archive host their audiofiles for free, so their operating expenses are incredibly low. And I mean incredibly low — "In early 2010 we ran a fund-raising drive to raise $20,000 for our expenses for the next few years. In July 2013 we launched a new fund-raising drive with the goal of raising $50,000 for short and long term expenses." I cannot imagine a more stark contrast with the multimillion-dollar boondoggle that is Janux. Long live the acoustical liberation! Last Friday, faculty at my school (all faculty? just faculty on the Center for Teaching Excellence mailing list?) 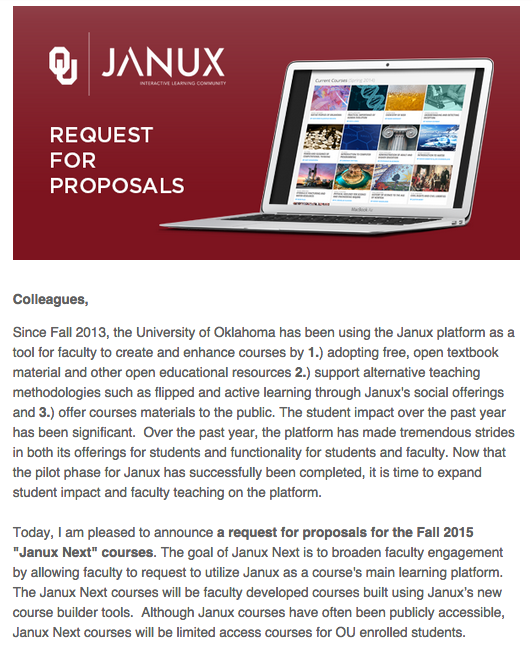 received an email which I've included as an image below, urging us to apply to put our courses inside Janux, a new learning management system in which the University of Oklahoma has invested millions of dollars (one million dollars last year to the company, NextThought, that is building the platform; two million dollars this year... and that is just the budget for NextThought software, so it does not include all the money being spent on actual course development). What was really strange was that these courses, which are being called "Janux Next," will not have an OU-version and open-enrollment version; instead, these will be for University of Oklahoma students only. So, the one thing that is open about Janux currently — open enrollment — will not even apply. These will be closed courses in a closed learning management system. Which is about as closed as you can get. At the same time, it's pretty clear that the open side of Janux has not been a big success, press releases and student newspaper articles to the contrary. I participated in an open Janux course in Spring 2014, but I dropped out after a few weeks because of frustration with the software and lack of any sense of a learning community. When I dropped out of that course, there were three people participating (counting me). I decided to try a different course in Fall 2014, but I dropped out even more quickly; there was even less participation than in the class I had tried during the spring. So, when the email came on Friday about Janux Next not having an open-enrollment side, it made me curious: is anything really happening at all on the open side of Janux? I just now checked in for all 9 courses currently being offered and, except for the beer course, it appears that nothing much at all is happening. Maybe people are watching the videos (I have no access to those statistics), but I see none of the social learning that Janux claims to promote. Even the beer course, which naturally connects with an existing real-world community, does not appear to have much participation on the open side. Yet the welcome emails to the courses proclaim that I will find true learning communities here: You are about to embark on a one-of-a-kind learning experience through Janux. More importantly, you are joining a true learning community built to connect, engage, and inspire all who wish to learn. I find this all very depressing. I personally believe in open everything: open content, open learning, open outcomes, open it all up! If someone wants to justify a closed system with open enrollment because, they believe, a closed system is needed to build trust in a community... well, Janux apparently is not succeeding in that, as the low participation rate shows. I suspect there are many reasons contributing to the low participation in the open side of Janux. The main reason I would guess is the top-down, instructor-driven course design but low-to-no instructor presence. The software is also a serious problem. 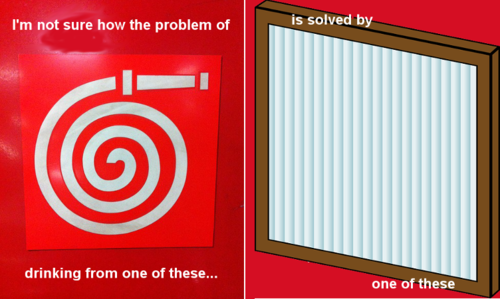 Problems like these would not be easy to fix now that the courses have been designed and the software has been built. Is Janux succeeding better with paying students who are taking the courses for a grade? I am sure that it is, but because that side of Janux is completely fenced off, there is no way to see what the Janux software is like when people are actually using it in large numbers. So too with the new History-Channel-branded courses; those courses will have no open side at all ($500 for credit, $250 for badge only), so we will not get to see what is actually going on. Are there going to be faculty who want to put their courses in Janux Next? Maybe there are. I am not one of them. Instead, I'm sticking to the open Internet. I was always a believer in open courses, and the people I've met in Connected Courses and the great examples of their work that I have seen make me an even stronger believer in the pedagogical value of open. I sure wish we were spending millions of dollars on open courses at my school, instead of on Janux. Luckily, though, whatever the budgetary priorities of my school, I still have the freedom to teach my classes in the open, and that's what I will keep on doing! Here's something else fun I thought I would do now with Inoreader: when I am tagging things as "news" to include in my news round-ups, I'm also tagging things as "quote," which is a way for me to pick up great stuff from Twitter. Now, a lot of things at Twitter are kind of weird: is someone quoting someone else? paraphrasing? offering their own comment in response to someone else? Often, I can't really tell who the words belong to, but they are still great words! So instead of trying to attribute these to people, I'll just link to the source where I found the words... if you want to try to figure out who said what, you can start sleuthing there. The moment you doubt whether you can fly, you cease for ever to be able to do it. ― J.M. Barrie, Peter Pan. Catching up on Connected Courses... of all the videos I've watched for Connected Courses, this is my favorite so far. Wow. Repeat again and again: wow wow wow. If people have not had a chance to watch this one, I really recommend it! I'm going to watch this one again tomorrow!!! So, I'm trying a new system at Inoreader for tagging the items that I want to include in each week's news round-up, and I'm really happy for how this is helping to complete the circuit here in my curation strategy. More about that later... meanwhile, here is some stuff I found online that mattered to me this week; more news round-ups here. And since a ton of this has to do with Connected Courses (naturally! ), I'll tag this for #ccourses too. Letting Faculty Drive. Here is a very persuasive response to the Inside Higher Ed faculty survey about the need for faculty to design and own their online courses. I agree absolutely! I published my response to the IHE survey at Medium: Devotedly Digital - Why I Love Teaching Online. Guess the percentage of cable news education guests who are actually educators. So depressing! Just as faculty should own their courses, educators should be the ones commenting on education... but not so on cable news shows! Structure is Not Sacrosanct: A Pedagogical How-to. 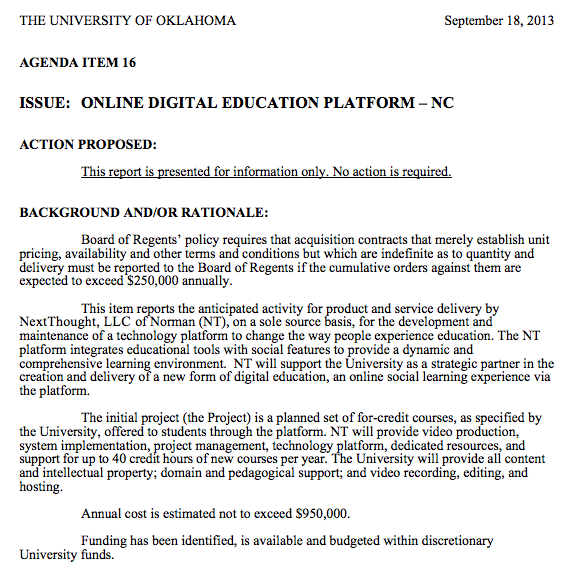 I really like this piece by Rolin Moe, and I just do not understand why OU is investing millions of dollars in yet another lecture-quiz-discuss closed learning management system (Janux.ou.edu) when we could be doing something OPEN instead. 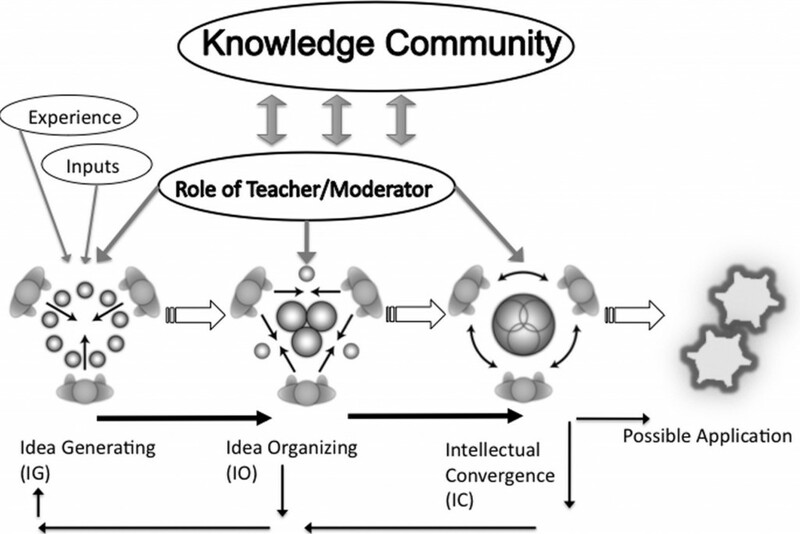 As Rolin says: "the openness is necessary, and when seen from a place of opportunity rather than obstacle, it is liberating in terms of knowledge creation, communication and collaboration.﻿"
If Freire Made a MOOC: Open Education and Critical Digital Pedagogy. Beautiful slideshow from Jesse Stommel, and here's the corresponding article at Hybrid Pedagogy. Critical Digital Pedagogy: a Definition. Another really important contribution from Jesse Stommel: "Education (and, to an even greater extent, edtech) has misrepresented itself as objective, quantifiable, apolitical. Higher education teaching is particularly uncritical and under-theorized. Most college educators (at both traditional and non-traditional institutions) do little direct pedagogical work to prepare themselves as teachers." 12 Steps for Creating a Digital Assignment or Hybrid Class. And another piece by Jesse, not a new one - but new to me. Great advice here, especially as I review my assignments prior to spring semester! A Misapplication of MOOCs: Critical Pedagogy Writ Massive. 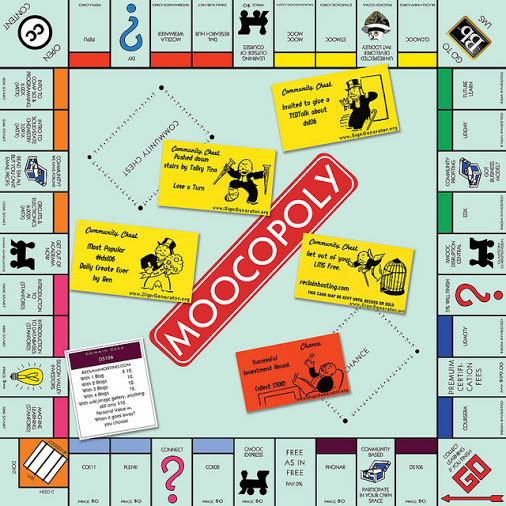 Here is what Sean Michael Morris has to say about the paradox of what MOOC has come to mean: "Like any tool in the wrong hands, MOOCs can become agents of continued oppression — of the learner or the teacher, in a pedagogical sense or in a poli-economic one." I don't think we can save the M or the C, but I am all for defending the O and the O! I love open, and I love online. More Thinking about the Open Education Infrastructure. More thoughts from David Wiley, following up on his earlier, very important post: The Open Education Infrastructure, and Why We Must Build It. State of the Commons. Nice infographic from Creative Commons, and you can read the report online: "At its heart, Creative Commons is a simple idea. It’s the idea that when people share their creativity and knowledge with each other, amazing things can happen." Using Digital Resources: How do we get past Google as default?. A nice piece on the Digital Public Library of America, a resource I plan to spend a lot of time with this summer. Excited for the new opportunities it will offer! Why I Teach in the Wild. A wonderful piece by Mandy Lupton about abandoning the LMS to "teach in the wild" using social media, seeking to practice the art of teaching more fully. Automation Makes Us Dumb. Yes, it's Nicholas Carr, the king of anecdote, but he does have some good anecdotes here, and I really valued this remark about medical diagnosis: "These highly constrained tools are optimized for data capture but at the expense of sacrificing their utility for appropriate triage and diagnosis, leading users to miss the forest for the trees. Medical software is no replacement for basic history-taking, examination skills, and critical thinking." That is how I feel about all this big data hoopla in education: I don't need "big data" about my students — I just need to make sure I create opportunities to be aware of what my students are learning, and also what they want to learn. Ideas on #bigdata and #education? Share your help. So excited to hear that Inge is taking on the challenge of standing up to the juggernaut of big data. I contributed my reflections on the dreaded Lexiles and the disaster of trying to rank reading "difficulty" by "grade level." WCET2014 Student Panel. Listen to students commenting on their online course experiences in this panel led by Phil Hill. Re: the earlier post about data, THIS is the kind of data we need. And we need to be just talking with all the students, listening to them, and sharing what we discover as a result. That would be big data worth having! 10 Reasons Students Say They Prefer Learning Online. More thoughts from students! I was pleased at how much overlap there is between the students' top 10 reasons here and the top 10 reasons I listed for myself. What Makes a Great Teacher? Here's another fascinating student input experiment, having both students and teachers rank the "attributes of top business teachers" — some overlap, but also some illuminating differences: "For example, “Communicates and presents material in a way that is easy to learn” was the fifth highest ranked attribute by students and was ranked nineteenth by faculty." Five Rules We Impose on Students That Would Make Adults Revolt. Likewise, putting ourselves in the students' place is a great thing to do. I'm really enjoying my new Google Site project for Inoreader because that will help me do a better job supporting students with their Google Sites. My Computer Romance. Great piece by Gardner Campbell about the beginnings of his computer romance back in the early 1980s. @Cogdog, Ticker tape, Gandalf, Lazarus, and I. Likewise, here is wonderful piece by Simon Ensor about a computer life; he was hooked 1982ish. It’s About Time. Great piece by Michael Stephens at LibraryJournal. I love the final paragraph especially: "One of my favorite songs reminds us that “time makes you bolder,” and maybe that’s a good thing to remember when someone requests a bit of your time. Be bold and try that new process, new learning opportunity, or new idea. Another line from that same song? “I’ve been afraid of changing….” Don’t let that happen to you." The Battle Between Perfectionism and Productivity. A great way to gain more time is to give up on that quest for perfectionism. On this important topic, I'm also interested in reading Decide: Work Smarter, Reduce Your Stress and Lead by Example by Steve McClatchy (helpful review at ProfHacker). lynda.ou.edu. We've got lynda.com at OU now! I was very pleased to see that in addition to all the tech content, there are some writing-related videos, with great video navigation and good transcripts. I'm looking forward to exploring this over break to see what I can find for my classes! A Domain of WithKnown. I really enjoyed reading Ian O'Byrne's thoughts on curation. That is something I have been working on a lot now too (witness these news round-ups!). It's fascinating to hear how each person approaches this exciting but challenging process! Blogging is the New Persuasive Essay. Wonderful post from Shelley Wright about why we need to put blogging ahead of traditional essay writing: "We need to teach blogging as a skill." 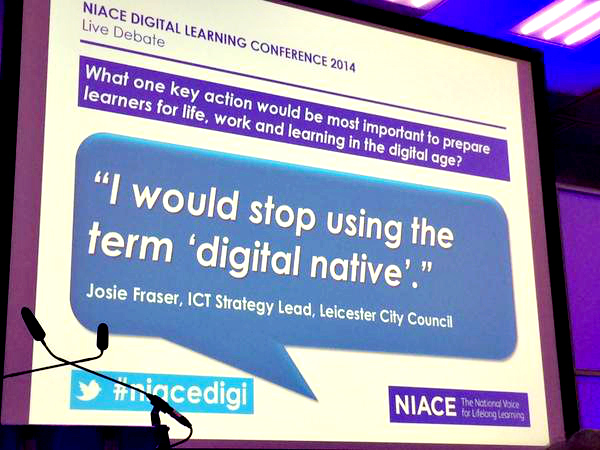 I also love this shot from the NIACE Digital Learning Conference: agree! I mentioned here in an earlier post that I need to think in terms of projects for pretty much anything I do (and yes, my husband teases me about it, but he also suffers from projecitis too). So, for Connected Courses, I decided that my project would be to re-build my PLN, with a specific focus on how I could use Inoreader to make that happen. I was already using Inoreader for my classes and they were feeling pretty "connected," but my PLN was a mess. I was really concerned about that because Connected Courses was introducing me to so many people that I want to stay connected with. 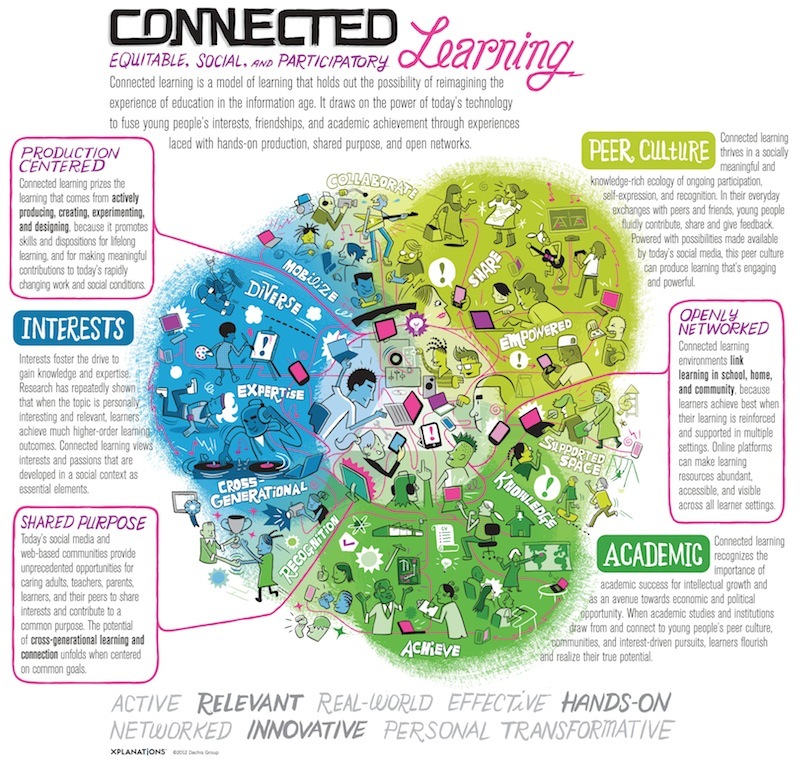 Plus, Connected Courses was making me think a lot about connections, networks, curation, and RSS. In terms of new ideas and challenges to my personal status quo, Connected Courses has been a really amazing experience for me. So, I've been really working hard on that over the past few weeks, and now I can summarize the VERY GOOD THINGS that have been happening as a result. 1. PLN Re-Connected. I have managed to connect with my PLN via their blogs and Twitter thanks to the power of Inoreader. This feels great! 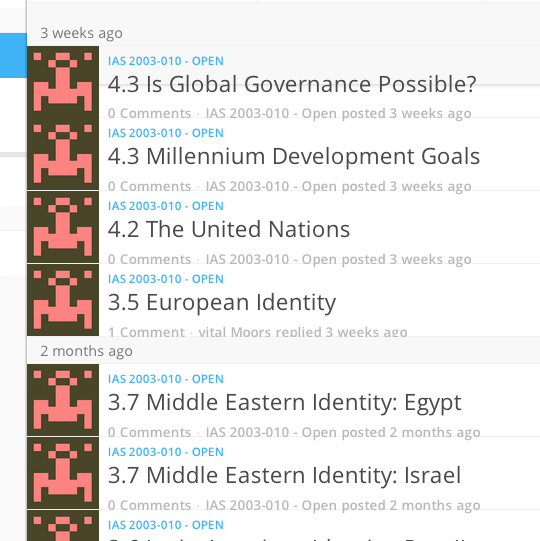 I'm still not the best at using Twitter, but Inoreader has really helped me a lot. Google+ is still my main place for hanging out online, but I am using Inoreader every day to do a better job of keeping up with people's blogs and with Twitter. The results have been fantastic; one way to see that is in my weekly news round-up. I am so much more in touch now with the great things people are writing and the great things people are doing with their classes: News Round-Ups. 2. Content Curation at My Omnifeed. For several years, I've been aware that I am seriously failing at curation. I do okay with my classes (and even there, lots of room for improvement), but I do a pretty terrible job of curating the important things I find online beyond what is happening in my classes. Google+ and Twitter are ephemeral spaces, with basically no useful curation tools. 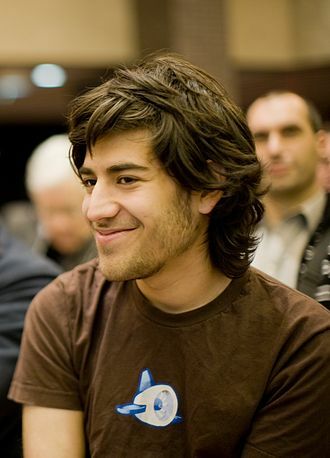 I tried using Diigo and IFTTT, but that didn't work for me for all kinds of reasons. But when I created my Omnifeed at Inoreader, that gave me the basis to build a real curation strategy! I need to write that up in a separate post but, suffice to say, Inoreader now shows me all my "stuff" (what I post AND what I share) in my blogs, at Google+, at Twitter, at Diigo and at Pinterest all in one place. Once that happened, I was able to develop what I think is a good curation strategy that moves content with long-term value from ephemeral spaces (Google+, Twitter) to more stable spaces (blogs, Diigo). Here's more about that: Inoreader Omnifeed. 3. New Inoreader Google Site. Yes, believe it or not, I am building a little website to document my use of Inoreader: Teaching with Inoreader. I wanted to do this both for my own sanity (I might forget all the great things I learned this semester!) and also to make it easier to share with others. I've been getting lots of inquiries from people about Inoreader (thanks especially to Alan Levine for the shout-out at the Blog Talk Garage! ), and I wanted to organize by scattered thoughts in one place. Normally blogs are the way I think/work: in the moment, piece by piece, always changing, totally ad hoc. This time, though, I needed something more permanent and organized. Plus, it's a fantastic way for me to experience again what it's like to build a Google Site. There are some real limitations to Google Sites, but some real advantages too, and as a result of building/maintaining this site, I will do a better job of supporting my students as they use Google Sites too! 4. Reignited Love of RSS. My main motivation for joining Connected Courses was to see Alan's blog syndication machine in action. The whole process of joining up and then getting to see all the blog posts in the stream was really thrilling for me. I love everything about how that works, and I am so glad for the people I have met in Connected Courses who are super-fabulous bloggers, like Simon Ensor, Maha Bali, Mariana Funes, and so many others! And just look at how different their blogs are: so many blogs and so many ways to blog! My Inoreader solution is very different: people cannot "self-enroll" to create an ever-expanding community, for example. But still, I am amazed at the way my students can blog in their own individual space, designing and developing that space on their own; then, at the same time I can keep up with all of them, making good use of their content in new ways that helps the class as a whole, while also helping me do a better job as a teacher... all because of the power of RSS which sets the content free and lets it be shared! 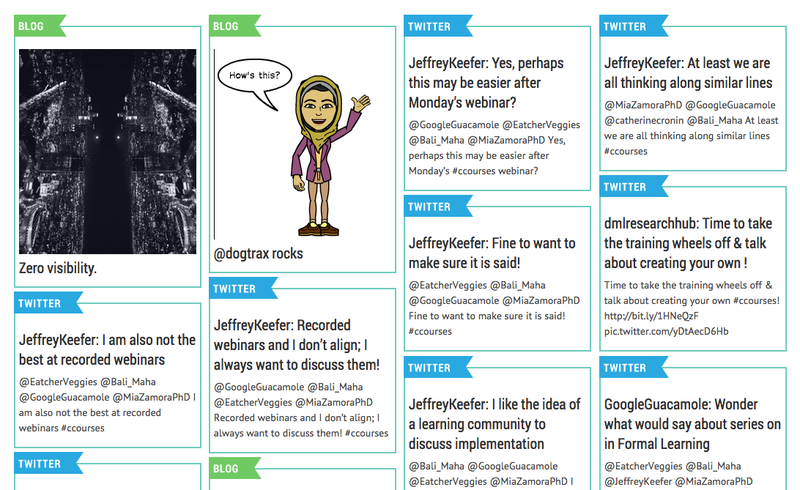 I'm still pondering about how to do something more systematic with Diigo. It's been a fun time for pondering; I will credit Connected Courses with helping me re-discover the joys of RSS and all the power it offers for cool content combinations and re-use. And since so much of this week's material came from participating in Connected Courses, I'll tag this blog post as #ccourses. Trust, Agency, and Connected Learning. From Jesse Stommel, one of the very best things I read this week. Very thought-provoking and inspiring. See also Jesse's comments in the Inside Higher Ed article about ProQuest below. Dammit, the LMS. Detailed, thought-provoking post from Michael Feldstein that generated responses in turn. Here's my response, and here is one from Jonathan Rees: I want to break free. Transforming Talk in the 21st Century. Fabulous article from Sean McHugh on asynchronous dialogue! It provides extensive excerpts from a fabulous-looking dissertation online here: The Construction of Shared Knowledge through Asynchronous Dialogue by Rebecca Ferguson. Why? Why use digital technologies? Why not just use pen/pencil & paper? Another great post here from Sean McHugh. Teachers’ Most Powerful Role? Adding Context. Fantastic article by Shawn McCusker at MindShift about "Teacher as Conductor in the Classroom Orchestra." Network a Shared Experience of Creating Together. This post from Joyce Kincannon ends with a powerful question: What can you imagine being openly networked will do for your students? See also Setting Climate Matters, another great post from Joyce about setting climate for creating a community of learners. Prompts to Help Students Reflect on How They Approach Learning by Maryellen Weimer at Faculty Focus. Great article with a lot of good prompts. I learn so much from asking my students to reflect about the learning that goes on (or doesn't go on...) in my classes! What We Can Learn from Unsuccessful Online Students by Jennifer Patterson Lorenzetti, again at Faculty Focus. I would argue that this applies equally to ALL students, not just online students! Accidental Exposure. Important news on the ProQuest/Amazon saga, but there are still unresolved issues; see Jesse Stommel's remarks at the end of the article. Curation for participation: an eight-step guide to curating open scholarly content. PDF free download from the Centre for Higher Education Development in South Africa. The Blogosphere lives! From David Weinberger: in praise of blogs! Where Did Soul-Sucking Office-Speak Come From? Mwahahaha. No comment except to say this is a great article. And I love the URL. Look for the numeric at the end. Professors’ Place in the Classroom Is Shifting to the Side. I wish we knew more about what was happening at OU in this regard. 1500 full-time faculty: where do we stand? APLU Panel: Effects of digital education trends on teaching faculty. A presentation by Phil Hill... and he's right: we're not playing the corner anymore — we're now loose in the house!!! Why It's Time to Give Up Grades. AGREED. Here are my thoughts: Colearning and the Dilemma of Grading; One Solution: Don't Grade! Co-Learning about Co-Learning. A nice post from Howard Rheingold on the theme of Connected Courses this week. On attending a conference by Twitter. A detailed G+ post from my friend Anne Lewis about the uses of Twitter; it matches up very much with my experience of Twitter too. Building an Online Personal Teaching Network. This is a wonderful infographic from Bernard Bull about "imagining opportunities to teach in the digital world." 12 Months to Becoming a Digital Age Educator. Another great post from Bernard Bull with suggested topics to explore month by month. 15 Ways to Help Your Students Forget What You Teach Them. And yet one more from Bernard Bull; he's been sharing old posts via his Twitter stream. This is a wonderful one: very therapeutic irony! Keep on Co-Claiming. Some powerful thoughts from Alan Levine on what we house online and what we co-claim elsewhere. On courage that is in-and-against work. Beautiful post from Richard Hall; not a new post, but I found it just this week. Inspiring thoughts here "to face-down those who actively dissociate, in our outsourced lives, abstracted by money and productive work, and the tyranny of the clock, and the poverty of capital." WriteAbout: Social Publishing for Classrooms. Incredibly exciting project from John Spencer and his colleagues! Reflections on Being Woman in #HigherEd #EdTech. Very inspiring post from Michelle Pacansky-Brock! The Real Student Debt Problem No One is Talking About. Very scary stuff: grad student debt: "Graduate students now collectively owe as much as 40 percent of the estimated $1.2 trillion in outstanding student debt, according to the New America Foundation, even though they make up only 14 percent of all university enrollment." Why Google wants to replace Gmail. I've been thinking a lot about RSS lately... and this article asks some hard questions about Google and RSS: "Say goodbye to the unmediated world of RSS, email and manual Web surfing. It was nice while it lasted. But there's just no money in it." Swimming against the stream. More great thoughts on RSS from Jon Udell: "Can we regain the control we lost? Do we even want to? If so let’s appreciate that the RSS ecosystem was (and, though weakened, still is) an open network powered by people who make explicit choices about flows of information. And let’s start exercising our choice-making muscles. I’m flexing mine again. The path of least resistance hasn’t worked for me, so my vacation from RSS is over. I want unfiltered access to the publications and people that matter most to me, I want them to be my best filters, and I’m available to return the favor. I may be swimming against the stream but I don’t care. I need the exercise." Sick Systems: How to Keep Someone with You Forever. An old post at a LiveJournal blog... but sadly very relevant to the education world today. 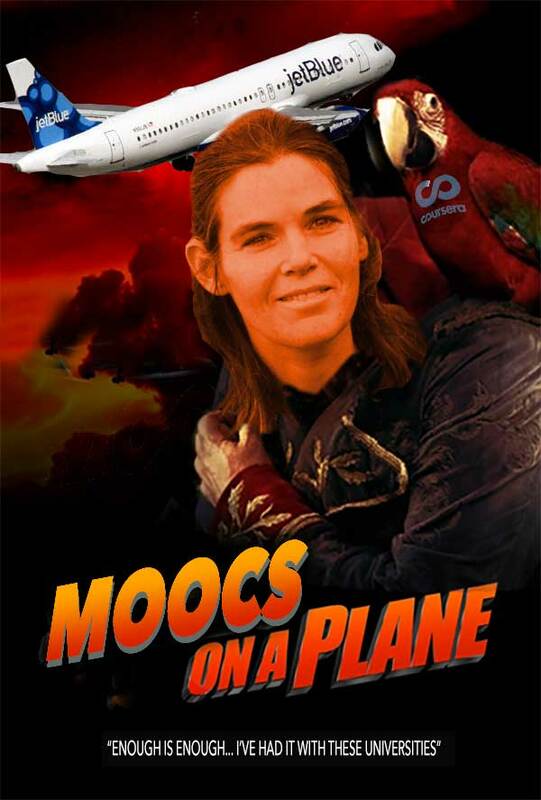 A review of MOOCs and their assessment tools. I have no interest at all in MOOCs per se anymore, but I'm also interested in what Tony Bates has to say about online learning, even MOOCs: "More disturbing for me though is the argument Chauhan makes for assessing everything except what participants learn from MOOCs. With the exception of automated tests, all these tools do is describe all kinds of behaviour except for learning. These tools may be useful for identifying factors that influence learning, on a post hoc rationalization, but you need to be able to measure the learning in the first place, unless you see MOOCs as some cruel form of entertainment. I have no problem with trying to satisfy students, I have no problem with MOOCs as un-assessed non-formal education, but if you try to assess participants, at the end of the day it’s what they learn that matters. MOOCs need better tools for measuring learning, but I didn’t see any described in this article.﻿"
And for some multimedia, I am simply in awe of this video: Welcome to my PLE! Listen to this student explain just what how a personal learning environment works. BRILLIANT. 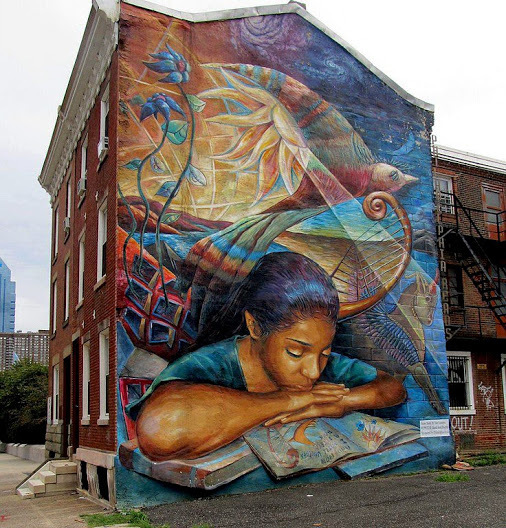 And for a graphic today, here is some gorgeous street art from Philadelphia: Secret Book by J. Serantitis. THANKS to everybody who helped me with this; I've posted at Medium now!!! Alan Levine was worried that my LatinLOLCat was looking a little timid there in the previous post, which is only an excuse for me to share some of the courageous kittehs. I am not cowering: I FEAR NOTHING | NIL TIMEO. The brave man can fall but not fail. You need to be bold: do it. There are many important issues that Michael Feldstein raises in this big and useful blog post — Dammit, the LMS — and they relate very much to one of the main issues that I've been pondering as part of Connected Courses over the past couple of months. 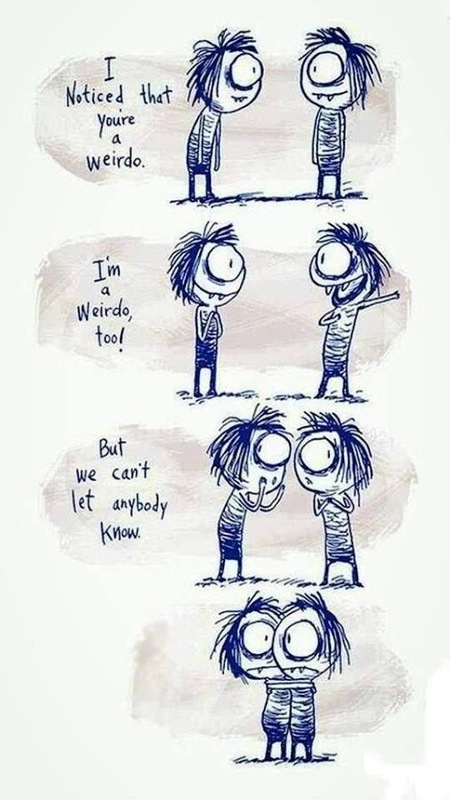 I've found it stimulating and exciting to connect with people who share my beliefs about teaching and learning, mostly because I don't feel that connection at my school. So, yes, I see serious problems with the teaching culture at my school, an inability to grow and change that is really harmful to our students, and I get frustrated because I believe deeply that the students deserve better. So, sadly, I do share Michael's pessimism about the LMS and teaching culture in higher education today, but I'll lay the blame somewhere that he does not mention: graduate school. First, though, some background about the problem as I see it: like Michael, I've been thinking about and working with LMSs since back in 1999, and I have to agree with Michael's overall verdict — "I find the topic to be equal parts boring and depressing." Also like Michael, one of my biggest frustrations is that the mainstream LMSs haven't changed hardly at all in the past ten years. For example, we've used Desire2Learn for almost ten years at my school, and it is virtually unchanged in that time. Oh sure, it is not Desire2Learn anymore; it's D2L Brightspace (yes, D2L BS)... whatever. The name may change, but the LMS remains essentially the same, as if the social transformation of the Internet had never happened. I also agree that the problem is cultural, not technological. And here's where I would put more of the blame on the standard LMSs for perpetuating a conservative culture of closed by default, instead of open by default (see Martin Weller's nice post: Open by Default). When a faculty member uses some permutation of lecture-quiz-discuss in the closed environment of D2L because that is the only option they have, they do not even have the opportunity to experience the different kinds of learning that can happen in more open environments. So, when I show faculty members what I am doing with student web publishing in my classes, powered by some great aggregation and syndication tools, they like what they see, but when I tell them that D2L does not provide any of the needed tools, they shrug and move on. Would they like to do things better and differently? Sure, I think so; I am not so pessimistic as to say that faculty don't care or cannot tell the difference, especially when you show them some impressive student learning outcomes. But if the only tool the university offers them is completely inadequate to the task, it's understandable that they would just carry on with the same-old same-old. Even worse is the deceptive and dangerous way in which the LMS pretends to offer services and tools which are such poor imitations of the real thing: lousy blogging tool, lousy portfolio tool, etc. (On that, see Mike Caulfield: Maybe the reason people don't use LMS collaboration tools is the tools are not collaborative). So, I agree with much of what Michael says, but where I disagree is when he wants to entertain the possibility of a "perfect system," as if the quest for a learning management system even makes sense. By way of contrast, let's look at the many different tools faculty use for their research (including a chemistry lab, for example, as Michael invokes in the post). When we think about research tools, it's clear that there is a whole wide range of tools that faculty use both to do research and also to promulgate their research. 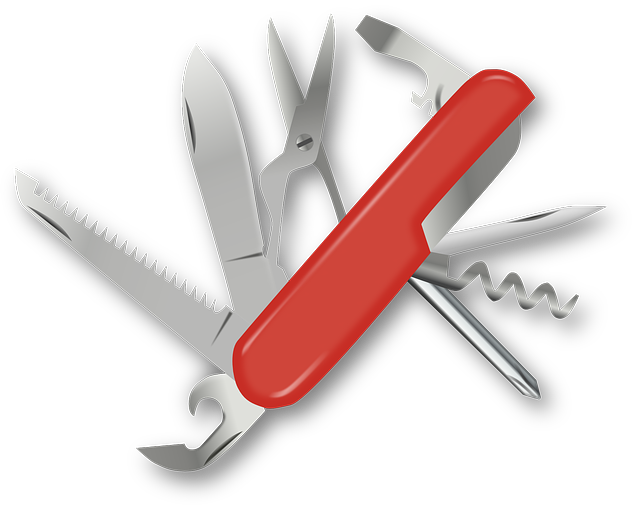 They don't expect there to be one "research system" that all the researchers will use to do all their research, some sort of Swiss Army knife for research that will "do it all" ... and anyone trying to promote such an approach for research purposes would be laughed off campus. There is no RMS. And so we do not have a decade of blog posts about the problem of the RMS. Faculty are instead busy using real tools for research, and they are also creating great new research tools all the time. Sadly, to answer that question, I think we have to go back to the professional training that faculty receive. In graduate school the future faculty learn all about the research tools they will be using in their research. Laboratory tools, bibliography tools, computing tools, and on and on. They learn about those tools intensively as graduate students, and their success in graduate school depends upon their effective use of those tools. Uh, nope. It's just not part of graduate school training in any discipline: there is very little training in teaching at all (and thus most people teach as they were taught), and there is even less training in the wide range of digital tools now available to support new kinds of teaching that can be very different from how classroom teaching has been done in the past. So, it's easy to mock the faculty for their limited and skewed perspectives as Michael does here in the bullet points near the end of his post, and as I have done likewise in my frequent moments of frustration. But if we step back and ask about the causes of the problem, I think we have to look at graduate school programs and the fact that preparation for a teaching career is simply not part of most programs. As a result, we end up with sophisticated scholars, experts in the research tools of their discipline, who are nevertheless inexperienced in the basic tools of teaching, a lack of experience that is most acute in the digital teaching world, new as that world still is. Combine that lack of experience with the poor quality of the LMS, and you clearly have a recipe for disaster. A disaster for which students are paying the biggest price of all. So, while I would like to vow not to write about the LMS for another ten years as Michael does here, and while I would like to stop caring about the lack of progress at my school, I cannot seem to make myself stop caring. Thanks to a new tool in my toolbox, Inoreader, I am actually enjoying the best semester I have ever had in my fifteen years as a college instructor. Does that mean I think everybody should drop whatever they are doing and use Inoreader? No, of course not. But since none of the concepts that drive Inoreader can even be glimpsed in an LMS like D2L (aggregation? syndication? nope), it's going to be very hard for me even to have a conversation with other faculty about this. Still, I can keep trying. And hoping. Colearning and the Dilemma of Grading; One Solution: Don't Grade! My schedule wouldn't let me coincide with the hangout tonight, but I wanted to chime in with something I think is very important for co-learning that came up in a student's blog post in my class today: grading... or, to be more precise, NOT grading. In this post, I'd like to talk about how I've managed to stop doing any grading while at the same time being able to assign grades at the end of the semester as required by my school. I'm able to do this because I teach Gen. Ed. writing classes, not classes that count for a specific major, and that situation allows me to use a "no grading" strategy — lots of feedback, but no grading. I've written up a description of my grades-without-grading strategy here: Grading, and in this post I'd like to add some comments specifically with regards to co-learning. I'm really grateful I got the chance to take such an awesome class that allowed me to read so many new and cool stories and that freed me to stretch my creative wings when I write without worrying about making the grade all the time. 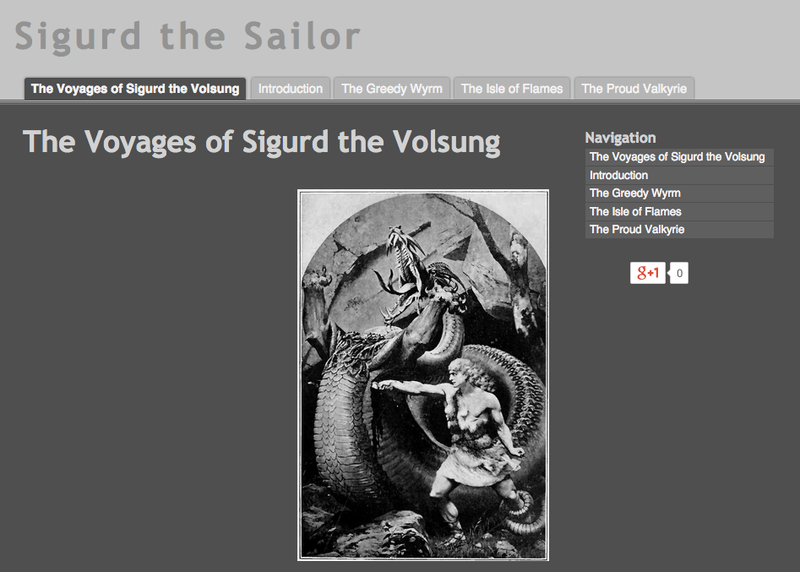 And, believe me, this student really did stretch his creative wings; you can see his fabulous project here: The Voyages of Sigurd the Volsung. He's a Professional Writing major, and I can imagine that grades do play an important role in the classes for that major. Indeed, from his comment in the blog post, it sounds like the grading can be a source of stress, one that gets in the way of experimentation and creativity. That's something for the Professional Writing faculty to worry about, though; as for me, I'm teaching Gen. Ed. classes that do not count towards any major in particular, and I have students from all the different colleges at my university enrolled — that means from Fine Arts to Engineering, from Journalism to Geosciences, and so on. As a result, in any given class, there are many reluctant writers, and some are really struggling. Occasionally, though, there are Professional Writing majors who enroll in the class, and obviously the writing they do builds on a huge amount of experience that the other students have not had. That discrepancy would be a nightmare if I were one of the High Priestesses of Rigorous Grading... but for the Church of Co-Learning, that diversity is instead a great opportunity! So, for a Professional Writing major, a class like this provides a more relaxed approach to the writing, with the opportunity to take risks and experiment wildly. In turn, the other students in the class get the benefit of watching a really skilled student writer at work — and when it comes to writing, I have the strong impression that students learn more and are more inspired by seeing the excellent writing of their fellow students, far more so than any other kind of writing model. You can see the incredibly positive responses that this writer has enjoyed at the Comment Wall for his project, for example. Yet again because of the variety in the class, students also get the opportunity to learn together with other writers who might be struggling as they are. Instead of being left to assume that they are alone in their struggles, they get a chance to connect with other students who are also working on some basic writing skills. In sum, everybody has lots of work to do (no one's work as a writer is ever done), and by doing their work together, they are able to make progress together, each at their own pace and on their own path but with the support of their co-learners. If you are curious just how that works in terms of revisions and flexible assignment schedules, I've got some of the nitty gritty here: Writing - Feedback - Revision, Storybooks: The Big Picture, and The Portfolio Option. I also did a "make" for this unit with a selection of student comments on each other's blogs here: Co-Learning: Thoughts from students on blogging and sharing. I feel very lucky that I've been able to design the class in this way so that I don't have to be a grader, the dispenser of pleasure and pain in some bureaucratic Skinner box. As we work on this co-learning topic together over the next two weeks, I'll be curious to learn how other people have coped with the grading dilemma in the promotion of co-learning in their classes. For a graphic, I'll go back to the great Connected Learning graphic that covers so many important aspects of connected learning: you will find the word feedback on that graphic, but you will not find the word grading! More about the graphic and more thoughts on grading here: Connected Learning: Grading (bad!) v. Feedback (good!). And tomorrow I'll take a listen to the recorded hangout and see if the topic of grading came up there! For now: goodnight to all, and happy learning tomorrow! 1. Pin story. I pin the new story to the class Board for the Storybooks. This is a semester-specific Board where each story gets pinned. I have gotten in the habit of manually pasting in the link in addition to the way Pinterest automatically links via the image. 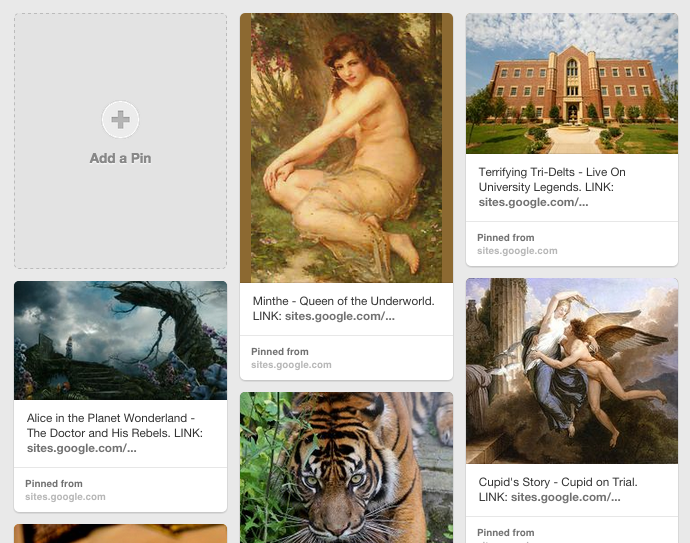 Here is the story I just pinned at the Myth-Folklore Fall 2014 Board; it's the story of the nymph Minthe. 2. Pin resource. 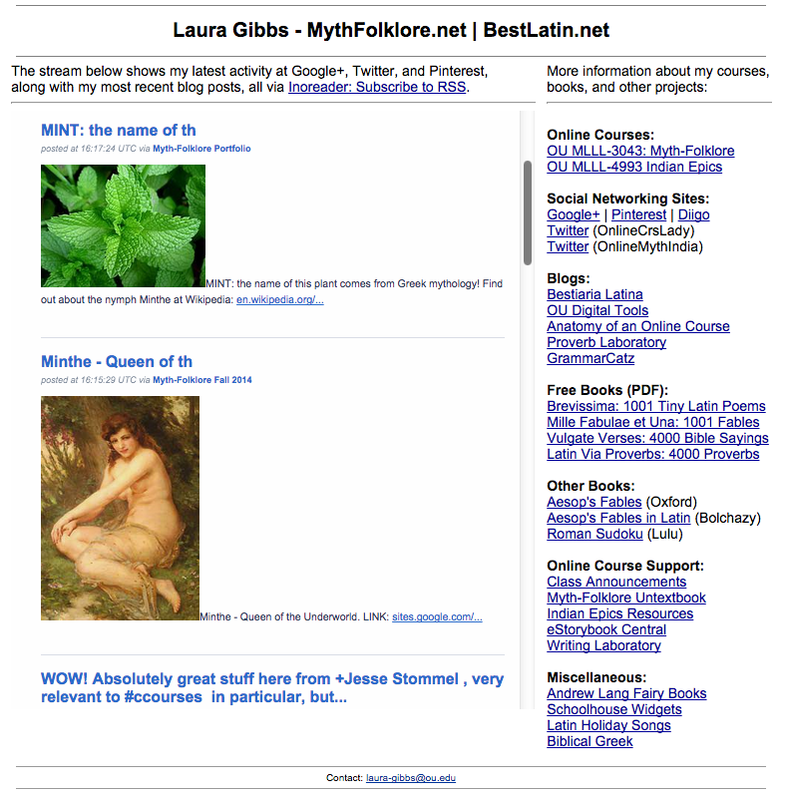 Often, but not always, there is some kind of related resource that I can pin to the general class Board which is a Board where I pin all kinds of stuff that might be of interest to students in that particular class: Myth-Folklore Portfolio. 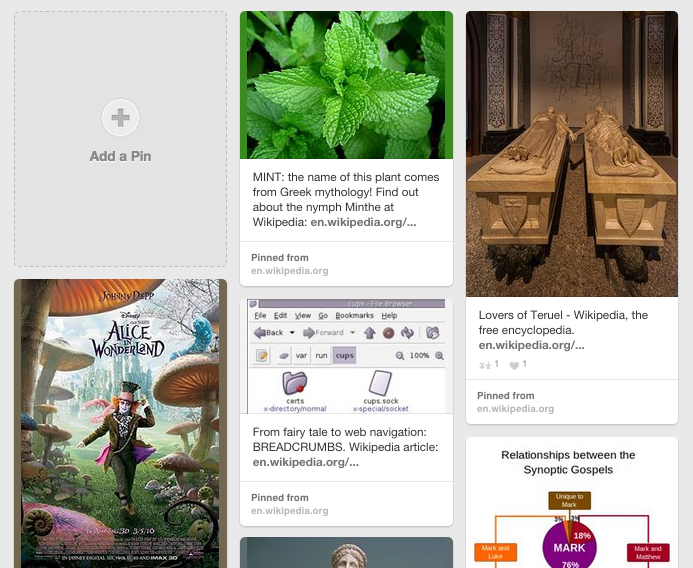 In this case, I pinned the Wikipedia article about the mint plant which contains a section on the etymology of "mint" and its connection to Greek mythology. 3. Inoreader. Since I am subscribed to both of these boards via Inoreader, that means the new pins show up automatically at Inoreader, where I can send them back out into the world either via RSS or through an HTML clipping display, as you can see here at my consolidated feed. So, there's lots more to say here about how I hope to be using Pinterest more next semester, but I wanted to take just a minute to document my process right now. I was not systematic about my use of Pinterest earlier in the semester, but now that I can use RSS to both harvest and then redistribute my Pinterest activity, that gives me a real incentive to make Pinterest a part of how I work every day as I read and respond to the great stories my students are including in their projects.